Merry Christmas to all! Hope everyone is having a wondering holiday with family and friends. I had a really hard time deciding what to do with my nails this year for Christmas, but I really love what I came up with in the end. For my Christmas Day manicure, I started off with two coats of one of my favorite reds, OPI An Affair in Red Square. 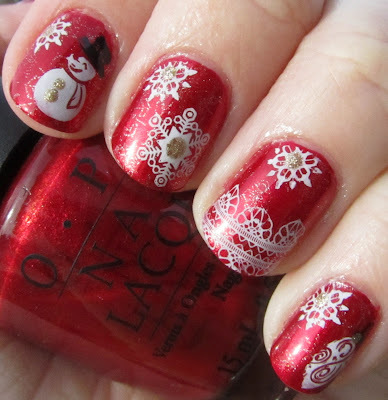 I stamped on some glitzy gold snowflakes using OPI Glitzerland and plate BM-323 to give just a touch of an interesting pattern to the background. 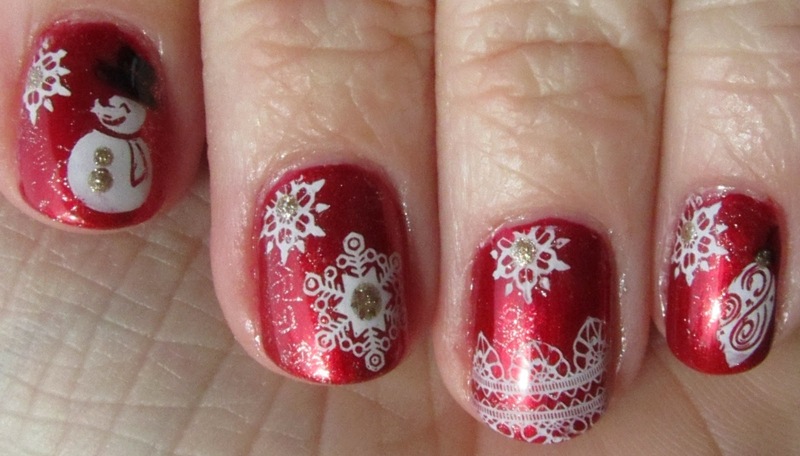 I then added a variety of designs using Konad special white and special black polish and plates BM-319 (snowflakes), BM-318 (snowman and ornament), and BM-323 (lace). I added a few accents with Glitzerland and topped it all off with two coats of Seche Vite. This is actually not what I originally set out to do when I started painting my nails, but the design sort of evolved over time and the result is festive and classy. I like how the gold accents tie in with the barely-visible gold snowflakes in the background. They are faint but enough to make you take a second look when you see the nails! I love the little snowman and his black hat too. I loved these!!! They're so festive yet still delicate. Merry Christmas!! 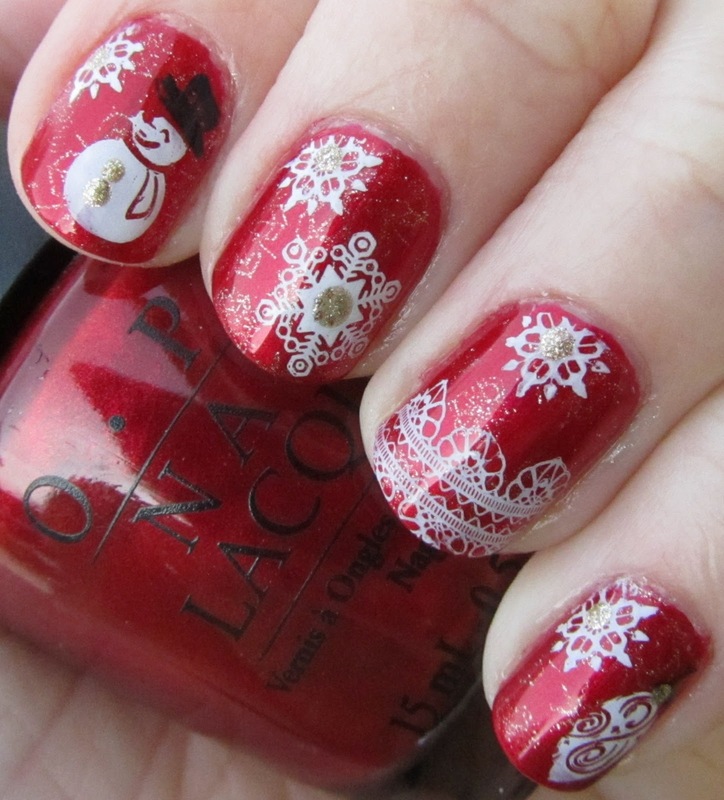 So lovely you christmas nails!